Card Sets, Swatch Packs and Fan Packs are well known for showing pages of colors and fabric swatches. 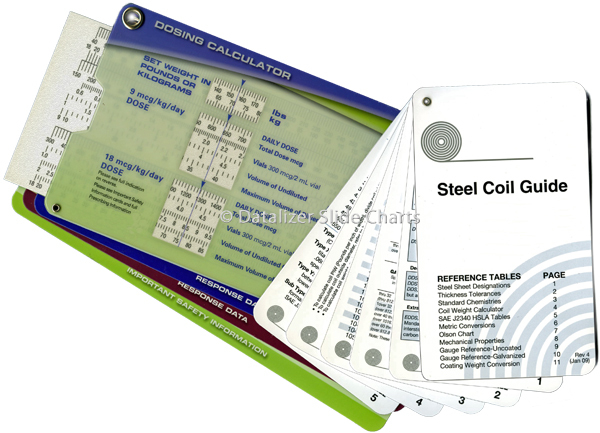 Our customers use them for fast, easy reference of data tables and measurement cards. 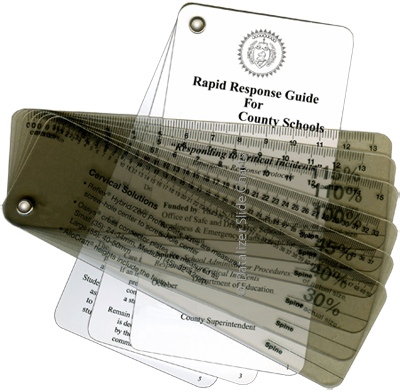 Extra cards can also be attached to Slide Charts to secure reference data to be used with the calculator. Cards are grommeted together with a corner eyelet and easily fan out for viewing. We've produced them in paperboard and plastic.